A time of joy, the holiday season can also be filled with preventable hazards. These practical tips will help you keep yourself, your family, and your neighbors safer this year. Crooner Andy Williams captured the spirit of the holidays perfectly in his 1963 hit, “It’s the Most Wonderful Time of the Year.” A time for “kids jingle belling,” “much mistletoeing,” and “caroling out in the snow,” the winter months unite friends and families in celebration of all faiths and ethnicities. Sadly, however, the magic of the season is too often marred by disaster, with news headlines such as “Killer Yule log eyed in Connecticut Christmas tragedy” (New York Daily News, Dec. 2011). Consumer education is one of the best ways to ensure that our families, friends, and neighbors enjoy a happy and safe holiday. Several non-profit and governmental organizations have developed easy-to-implement safety resources that consumers can use at home or for neighborhood meetings and special events. This article is designed to serve as an overview of steps everyone can take to prevent holiday disasters, and it provides links to web resources that neighborhood groups can access to create their own holiday safety campaigns. Fire, electric shock, carbon monoxide poisoning, and injuries sustained from falls are among the most common medically treated, holiday-related injuries and health conditions. The tips provided below can help ensure safe and healthy celebrations for all. Nothing says ‘’tis the season” better than a six-foot-tall, inflatable snow globe on the front lawn! In many U.S. households, electricity consumption spikes during the chilly winter months, when we turn up our thermostats and plug in lights and other festive decorations. Tragically, however, defective and improperly used electrical appliances are responsible for thousands of injuries and hundreds of deaths each year in the United States, with incidents peaking during the winter months. According to the Electrical Safety Foundation International (ESFI), 160 home fires per year begin with holiday lights and other decorative lighting, causing an average of 8 deaths, 14 injuries, and $8.5 million in property damage. The National Fire Protection Association (NFPA) reported that Christmas tree fires alone were responsible for 13 deaths, 24 injuries, and $16.7 million in property loss from 2005 to 2009. Electrical cords pose non-fire-related dangers as well. The Consumer Product Safety Commission (CPSC) estimates that hospital ERs treat about 4,000 injuries associated with electrical extension cords. About half involve fractures, lacerations, contusions, and sprains sustained by tripping over cords. Among young children, half of all injuries treated were for electrical burns to the mouth (sustained when the child chewed on the cord). Below are basic holiday electrical safety tips to help consumers prevent electric appliance-related mishaps. For more comprehensive safety information, the ESFI has developed a downloadable holiday safety guide. Portable and stationary space heaters account for 32 percent of all home heating fires and 80 percent of home heating fire deaths. When selecting a heater, choose a model that bears the mark of a nationally recognized testing lab such as UL, CSA, or ETL. Before plugging in a new heater, read the instruction manual. Whether new or previously used, space heaters should be inspected and, and if damaged, either discarded or repaired by a qualified electrician. Heaters should be placed at least three feet away from curtains, furniture, and other flammable items and should never be used in wet areas such as bathrooms. Never leave a space heater unattended, especially if children or pets are present, and always turn the heater off, before falling asleep. Holiday lights and other decorations can overburden electrical circuits, so it is important to use extension cords properly. Before using an extension cord, always inspect it for cracks, frayed sockets, and loose wires. Never nail extension cords to walls or baseboards or run them through walls or ceilings as they may overheat. Also, ensure cords are not pinched by doors or windows. When selecting that perfect Douglas fir, remember that a green tree drops fewer needles and is less likely to catch fire. If choosing an artificial tree, look for a label stating that the tree is fire resistant. Never use electrical ornaments or lights on trees with metal leaves or branch coverings. ESFI recommends LED lights, which use less energy and are cooler than traditional incandescent lights. Bulbs and fuses inevitably burn out (usually after you’ve tested and strung them); always unplug the string before replacing bulbs to prevent shock or fire. The irresistible aroma of roast turkey always draws a crowd into the kitchen. Keep everyone safe by making sure the stovetop and oven are free of grease and dust, which could ignite a fire. Use back burners and turn pot handles toward the back of the stovetop, to protect children. Always keep cords away from hot surfaces, and never use electrical appliances near sinks or running water. Plug countertop appliances into ground fault circuit interrupter-protected outlets and unplug small kitchen appliances when not in use. Counterfeiting is a booming business, with the CPSC recalling more than one million fake electrical products in recent years. In 2010, consumer electronics accounted for 18 percent of counterfeit products seized by U.S. Customs and Border Protection. Avoid buying brand name knockoffs, which often are of inferior quality and fail U.S. safety standards, by purchasing from reputable dealers. Also check for UL, CSA, or ETL certification marks. For up-to-date product recall information, visit www.Recalls.gov. For more electrical safety suggestions, ESFI provides a series of holiday electrical safety videos and fact sheets. Have chimneys and wood stoves inspected and cleaned annually. Make sure the area around the hearth is free of debris, decorations, and other flammable materials. Leave glass doors open while burning a fire (closing the metal mesh will help contain embers). Close glass doors after extinguishing the fire. Use only dry, seasoned wood or wood pellets. Never use flammable liquids to start a fire or burn cardboard, trash, or other debris in your indoor fireplace. Allow ashes to cool before disposing of them in a tightly covered metal container. Douse ashes with water and store them away from your home and other buildings. Place lighted candles in a sturdy metal, glass, or ceramic holder that is at least one foot away from anything flammable. Never put lighted candles on a holiday tree. Not solely decorative, candles are traditionally used during many religious observances. Ensure safety by placing menorahs and kinaras on a level, fire-resistant surface that is away from flammable materials. Children should take part in candle-lighting rituals only when an adult is present. The USFA has published free, downloadable widgets and web banner safety advertisements that individuals and organizations can post on their websites. Clicking on a selected advertisement redirects the visitor to the FEMA-USFA site for information. Never use an oven or stove top for home heating. Make sure all fuel-burning heating equipment is vented to the outside. Remove vehicles from the garage before warming them up. Inspect vehicle exhaust pipes and dryer, furnace, stove, and fireplace vents for blockage caused by fallen leaves, snow, ice, and other debris. Kerosene heaters are illegal in many states. Always check with local authorities before buying or using one. Open a window slightly whenever using a kerosene heater and only refuel outside after the device has cooled. Use portable generators outdoors only and in well-ventilated areas away from doors, windows, and vents to prevent exhaust fumes from entering the home. Carbon monoxide alarms serve to alert home occupants when the poisonous gas is detected. For guidance on selecting, installing, and maintaining carbon monoxide detectors, and on the symptoms of CO exposure. A printable fact sheet information on the dangers of carbon monoxide is available from NFPA. Rule Number One: Never leave children or pets unsupervised around or allow them play near holiday trees and decorations, hot stoves, space heaters, or open flames. "Bubble lights" containing methylene chloride can be poisonous if a child drinks the fluid from more than one light (even if labeled nontoxic). Battery-operated candles are a safer alternative to traditional wax candles. Remove choking hazards by hanging ornaments and holiday tree lights on high branches. The American Society for the Prevention of Cruelty to Animals (ASPCA) warns that cats are especially attracted to tinsel, which if swallowed, can block feline digestive tracts. Treats, such as hard candies and popcorn, are a choking hazard for small children and should never be left within the reach of their little hands. Likewise, foods containing chocolate or sweetened with xylitol can be toxic to pets. Keep alcoholic beverages out of reach. KidsHealth.org warns that alcohol poisoning in children is most common during the holidays. Smaller body mass means children become intoxicated from much smaller amounts of alcohol than adults. In pets, alcohol consumption can lead to respiratory failure. Mistletoe, holly, and poinsettias brighten the home but, if ingested, are toxic to both children and pets. Parents should immediately call their doctor or the National Poison Center at (800) 222-1222 if they suspect a child has eaten any part of a plant. ESFI offers more holiday safety tips, classroom materials, and kids’ corner videos and games. For more ways to keep Fido safe, visit the ASPCA. Holiday dangers can be lurking outside the home as well, especially after Black Friday, when shoppers cram the malls and cyber gift-shopping peaks. Year-round safety measures such as being aware of one’s surroundings, securing personal data, and the others discussed below are paramount at this time of year. Fast and convenient, online shopping allows purchasers to send gifts with a simple mouse click. Unfortunately, the intended recipient is not always the person who benefits from the giver’s generosity. “Porch pirating,” the theft of packages from doorsteps, spikes during the holidays. Last December, for example, a Massachusetts couple was charged with stealing some 100 packages delivered to private residences, while another victim on Long Island, NY managed to catch a theft in progress (www.nbcnewyork.com/news/local/Holiday-Grinch-Caught-on-Video-135615063.html) on his video surveillance camera. 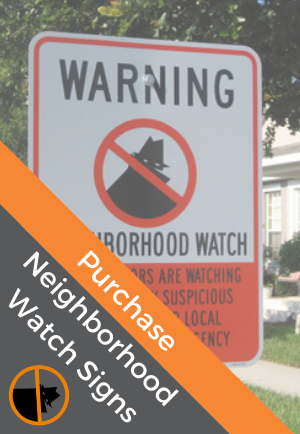 To reduce the risk of porch theft, law enforcement agencies recommend selecting a delivery option that requires the recipient’s signature, checking delivery status online, and arranging for delivery when the recipient or a neighbor is home to receive the package. Legitimate delivery services do not email customers directly regarding scheduled deliveries or packages that have been intercepted or held temporarily. Senders must have an existing account for this type of communication. Unsolicited emails are most likely phishing scams that can lead to information breaches and financial losses. Do not respond to, or click links within, an unsolicited email. Avoid filling out email forms that request personal information. Compare links in an email with the link to which you are directed to determine if they match and will take you to a legitimate site. Have packages shipped to a secure location such as a workplace. Lock your car and put valuables—and items that might appear valuable to a thief—in the trunk. Never leave a purse or wallet unattended or open. Purchase gift cards from reputable dealers only (not online auction sites). The National Retail Federation advises buyers to keep the receipt in case there are problems when the card is redeemed. When shopping with youngsters, talk with them about safety before leaving home. The National Center for Missing & Exploited Children (NCMEC) suggests parents help kids work through several “what-if” safety scenarios. For more help, NCMEC offers a downloadable “Know the Rules: Safe Tips for the Holidays” poster and holiday safety PSAs.